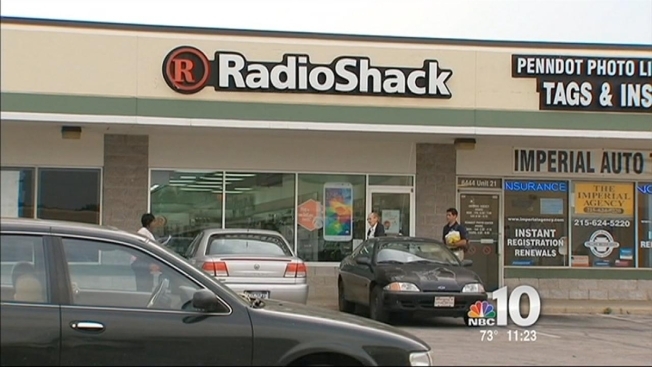 Police are on the hunt for robbers who they say stole tens of thousands of dollars in expensive merchandise from two local RadioShack stores. The suspects first struck the RadioShack on 24th and Oregon in South Philadelphia back on May 19, stealing $35,000 in phones, headphones and cash. They then targeted a RadioShack on Sackett Street in the Mayfair shopping center in Northeast Philly last Saturday, stealing $31,000 in electronics and cash. During both robberies, investigators say the suspects initially came in acting like customers before pulling out their weapons. Police also say they destroyed the surveillance cameras inside both stores. “What really struck me was how calm everything was and I guess the only time I noticed something was wrong was when all the cop cars jetted down the parking lot and they came out with their guns drawn,” said Fabio Berdu of Northeast Philly. The manager of one of the targeted stores told NBC10 she and another worker were forced to the floor in a backroom and even stepped on as the robbers spent 20 minutes grabbing expensive merchandise. While the surveillance videos inside the stores were destroyed, police were able to obtain surveillance footage of the suspects running outside into a getaway vehicle. Police believe the suspects were driving in either a maroon Chevy Impala or Chevy Malibu during both robberies. If you have any information on the identities of the suspects, please call Philadelphia Police.